Our point of sale software can cost less than half the price of other leading restaurant point of sale systems! Replacing existing point of sale software with NextGen Technology can cost less than the annual maintenance and support fee of other systems. 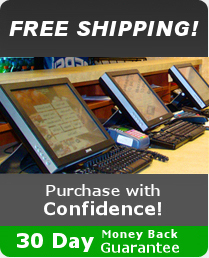 The Point of Success point of sale software is easy to use, full of the features a restaurant uses many times every day, and is very affordable. 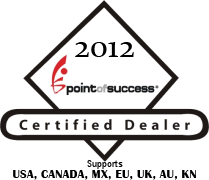 Point of Success is restaurant point of sale software that can be used in any type of restaurant or bar. Restaurant point of sale software should help make order entry easier, make customers happier and help build a restaurant business. Point of Success does all these and more! Table and Guest Management Manage tables, track your reservations, and maintain wait list, reservation and table turn statistics. Employee Scheduling Track employee availability, create work schedules, print schedules and predict labor costs. If you are ready to purchase, have Questions, need 24x7 Support or requesting a Demo please contact us. NextGen Technology is located in Roseville, California outside of Sacramento, Placer, and Auburn Counties. If you have any questions about our software, hardware, installation, or technical support please contact us. We are here to help you. Copyright © 2019 Next Gen POS - Point of Sale Software Solutions. All Rights Reserved. Designed by Soony Williams.